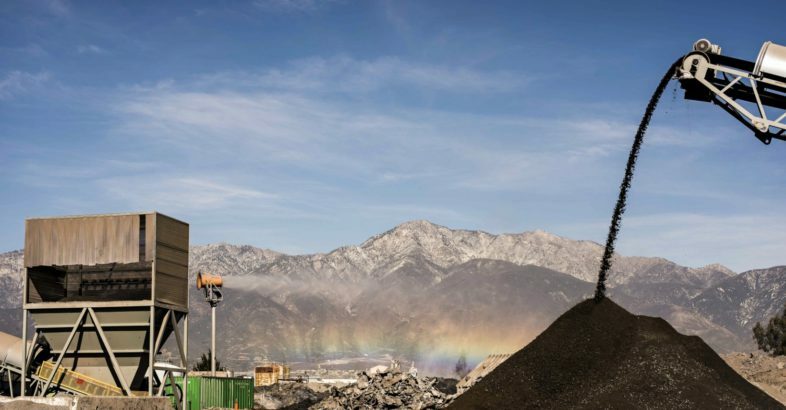 Rancho Cucamonga, CA, USA – A Canadian environmental solutions firm operating a slag recycling plant in California is using industrial atomized mist technology to contain fugitive dust emissions and control runoff to satisfy strict state air quality regulations. Tervita Corporation, based in Calgary, Alberta, was tasked with controlling dust while conserving water in an area known for high winds, Rancho Cucamonga, CA. The firm accomplished that goal by integrating a tower mounted DustBoss® DB-60™ with a modified shipping container in an innovative design that stabilizes the unit and protects electronics. The result is a drastic reduction in fugitive dust emissions, improved regulatory compliance and better community relations.